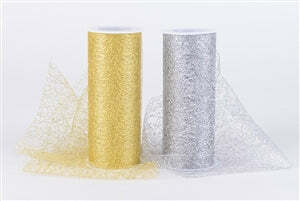 BB crafts is a group that offers the best quality metallic mesh rolls at the most nominal prices. This type of mesh can easily be used for shoeing your creativity by making cute garlands, hair accessories, decorative materials for parties and weddings. At our official website, you can grab the best priced and the finest quality stuff at wholesale rates. You can easily order here for even the bulk quantities and the best part is that you can save more if you purchase more with us. The metallic mesh rolls can actually make the wedding and party venues look brilliant with the magic of beautiful colors themes all around. We can provide you with a variety of shades you need for the fabrics, ribbons, floral mesh and almost all the products we supply to our happy and satisfied buyers around the globe. So, if you need to get done with all your decorations and craft work in a smarter way, then you can quickly click on the desired products and place an order for all you need.